Augsburg Fortress Publishing, 9780800627102, 372pp. From this engrossing portrait of first-century Palestine, Jesus emerges as the catalyst of nonviolent social revolution that anticipates the renewal of Israel. 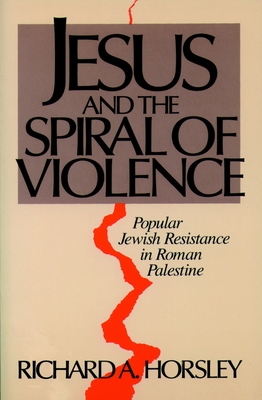 This fascinating analysis opens up a new perspective of the Roman-dominated Jewish Palestine of Jesus' time, viewing it as an "imperial situation" in which individual acts of violence were responses to institutionalized repression and injustice. Richard A. Horsley reveals the fiercely nationalistic Zealots as largely the fabrication of historians and exposes the erroneous view of Jesus as the sober prophet of nonviolence. In claiming the presence of the kingdom of God, Jesus aimed at catalyzing the renewal of the people of Israel, calling them to loving cooperation amid difficult circumstances of debt and despair and to organized resistance to the violence of an imperial situation.